Eine friedliche weiten Blick auf den Atlantik erstreckt sich über die gesamte Länge der abgeschirmten und gefliesten Balkon. Das geschmackvoll eingerichtete, im zweiten Stock Eigentumswohnung ist von der Treppe oder Aufzug erreichbar. Vielen Extras! Spiel Angelfreunde werden dieses 'Sport Fishing-Hauptstadt der Welt. "Genießen Chartern Sie ein Boot und gehen Sie Haken ein großes oder mit den Delphinen schwimmen im Theatre of the Sea. John Pennekamp Coral Reef State Park ist ein echtes Spektakel für Schnorchler, Taucher und Passagiere an Bord der Glasbodenboot Kreuzfahrt. Also, wenn Sie möchten, um im beheizten Pool schwimmen, Tennis spielen am Strand Platz, Grill Ihren Fang des Tages, Sterne Blick, oder zum Einkaufen, genießen Sie die Wunder der bunten, palmengesäumten Florida Keys. Sorry that there was construction going on during your stay. Hurricane Irma has taken us all longer recovery time than we hoped. Beautiful sunrise on the covered balcony. Unit was very clean and nicely decorated. New kitchen remodel was very nice. Pool and beach were very enjoyable and a great place to relax with a good book. The owners were very accommodating. Our family had a wonderful time fishing from the point, enjoying the pool and iguana spotting. Perfect home away from home. My family and I had a wonderful trip. The condo was clean, quiet, well stocked with toys, towels, etc. The view of the ocean from the condo was spectacular. Looking forward to returning someday. As we expected, Sea Gulls had evidence of the damage done by the :big storm". Workmen were hard at work gutting the apartments and repairing the oceanfront...but not in our condo! #210 was completely refurbished and looked exactly as beautiful as it has in years past. The pool was lovely, the fish biting, only the tennis court fell victim to the storm.The sunrises and sunsets were radiant and our trip was wonderful. Most of the area's restaurants were up and running and we sampled them all! 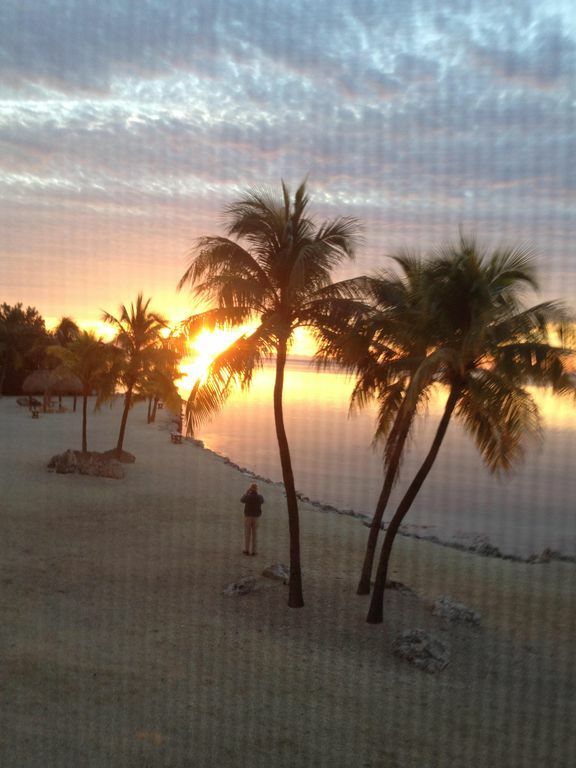 Another wonderful two weeks in Islamorada!! Our family thoroughly enjoyed our week here at 210!. Mrs. Susan was very easy to work with from the beginning and throughout the stay. She provided ample info about local places and activities for us to enjoy. The condo is well stocked with dishes, utensils, beach towels and bath towles. If you have plans to rent this unit, check out what supplies that are in the condo before you go to grocery shopping. We had plenty of spices and even paper products to start off with. In return we left unopened charcoal, new cooler ( one on wheels is in closet but we need another for outtings) and paper products for next guest to use. You will also find beach chairs, toys, umbella and fishing poles to use during your stay. While there is not per se a beach, we can go a few miles to Harris Beach (free during the week), Sombrero Beach or Bahi Honda to enjoy your day. My boys enjoyed fishing from the front of condo and caught several different fish. The only item I would have enjoyed would have been a washer & dyer in the condo ( there is 2 sets on the floor just down the hall that are coined operated) it wasn't a big deal and was not a problem to use. I don't think there was a time this week that anyone else washed clothes at the same time. Overall we had wonderful time any with our children and plan to return! We are now considering renting Sunday to Sunday or Friday to Friday.